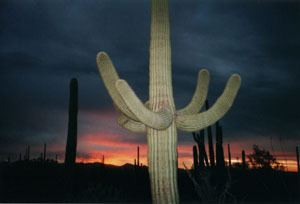 The Saguaro, as a the monarch of the Sonoran Desert, is the supreme symbol of the American Southwest. This extraordinary giant cactus has been protected with Saguaro National Park since 1933. 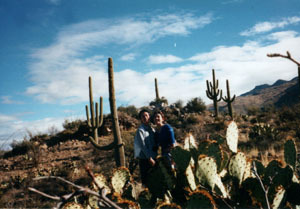 It is one of the hottest and driest region in North America. Summer temperature climb more than 100F, rain precipitation is less than 12 inches. 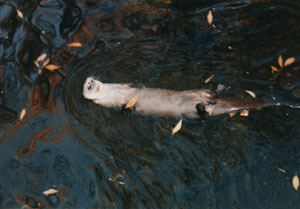 But the plants and animals are able to survive in this harsh condition. 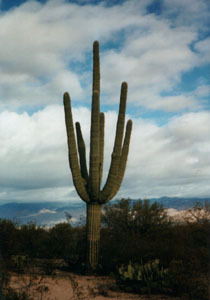 A saguaro's growth is extremely slow. 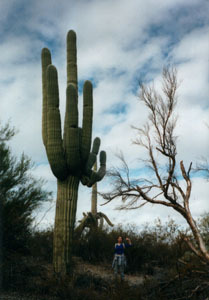 After 15 years, the saguaro may be barely a foot tall. 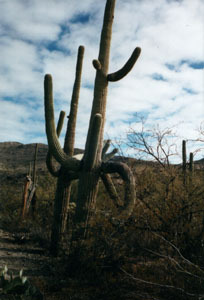 At about 30 years saguaros begin to bloom and give fruit. By 50 years, sagaro can be reached 7 feet. At about 75 years, it may branch out its first "arms". 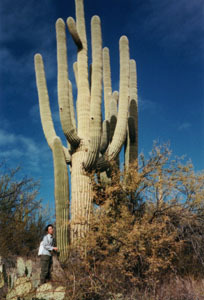 By 100 years the saguaro may be as tall as 25 feet. 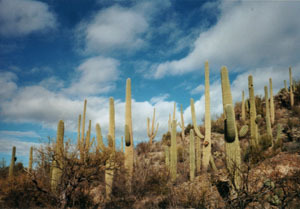 Over 150 years old saguaros have grandest sizes, towerting as high as 50 feet (15 meters) and weighing 8 tons or more. 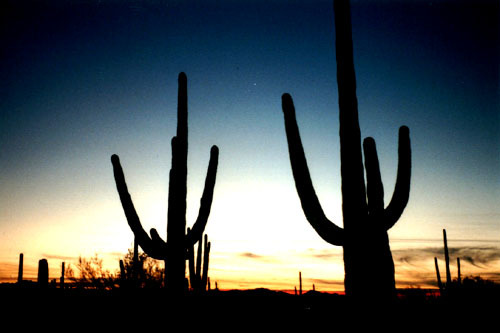 These are the largest cacti in the United States.